It is February second and Groundhog has done his job. This year he has seen his shadow so everyone knows that they can expect to have "six more weeks of winter." On February third however, Groundhog is feeling decidedly fed up. Just the day before he was the center of attention and now he is being ignored by everyone. In short Groundhog is tired of being a one-day-wonder. He wants more. Groundhog proceeds to tell his three long-suffering friends all the wonderful things he is and shows them all the wonderful things he can do. Indeed he is a pretty skilled and versatile animal and it is quite amazing to learn how truly special groundhogs are. Anyone who enjoys celebrating Groundhog Day will find this salute to groundhogishness delightful. 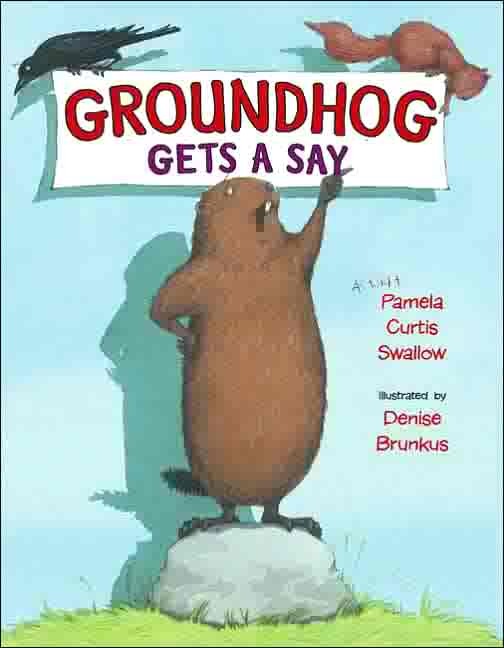 Groundhog and his trio of friends are funny and the asides that Squirrel and Crow come up with are sure to give a laugh or two. Let it not be said that groundhogs are only fit to see (or not see) their shadow on February second. Humor and roguish artwork make this natural history picture book a joy to read.